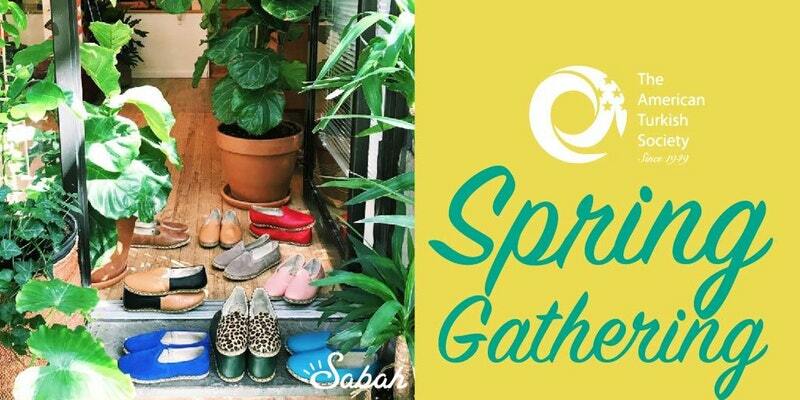 On Tuesday, April 10, 2018, The Society’s Spring Gathering event was hosted by The Sabah House. In 2013, Mickey Ashmore created a pair of leather shoes with a family of craftsmen in southeast Turkey. He called them Sabahs, an original shoe based on a traditional shoemaking method. He now travels the world selling them, one pair at a time and has opened Sabah Houses in Dallas, New York City, Los Angeles and Washington, D.C. The Society brought together over 100 members from the Turkish American community at the cozy Sabah House. Participants enjoyed light hors-d'oeuvres and warm conversation with other members of the community.